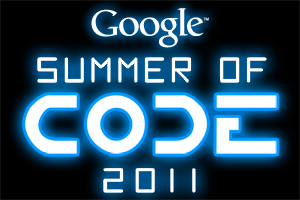 Vishal Lambe's Blog: The GSoC 2011 Challange!! The timeline for Google Summer of Code 2011 is out and students from all over the world are rearing to get ready for the challenge. What attracts students is the opportunity to associate themselves from the community of Google and open source along with monetory benefits. Not to mention the funky Google T-Shirt remains the center of attraction. The official GSoC 2011 website is GSoC 2011. The GSoC timeline is as follows for 2011..
Google begins issuing initial student payments provided tax forms are on file and students are in good standing with their communities. Google begins issuing mid-term student payments provided passing student survey is on file.